Stella Abrera photographed by Nathan Sayers for Pointe. This is Pointe's December 2016/January 2017 Cover Story. You can subscribe to the magazine here, or click here to purchase this issue. At some point during her long career with American Ballet Theatre, Stella Abrera started to think it would never happen; paradoxically, this gave her a kind of peace. But on the evening of May 23, 2015, there she was, onstage at the Metropolitan Opera House, finally performing one of her dream roles: Giselle. It was a moment that had been long deferred. In 2008, as she was preparing for this same part, she was sidelined by an injury. And it turned out to be a serious one, a herniated disk and trouble with her sciatic nerve, which caused pain and debilitating calf weakness and kept her out of commission for almost two years. When she came back, she felt unsure of her body and her future, unable to do the things she had done before almost without thinking. Yet seven years later, she got her second chance, filling in for another injured dancer. And a remarkable thing happened: The moment Abrera stepped onstage, responding happily to Albrecht's four taps on her cottage door, it was as if she had been dancing the role her whole life. Her Giselle was sweet without being sappy, trusting without having the word “victim" written across her forehead. The jumps were confident, the turns clean, the arabesques limpid. The transformation from woman to wraith was gradual, the love between her Wili and Albrecht still touchingly human. “Stella allows herself to go as far as she can in a particular direction, without ever going over the line," Kevin McKenzie, ABT's artistic director, explains. “She has the taste to make the judgment call and the ability to know where the line is." Abrera in "The Leaves Are Fading." Photo by Rosalie O'Connor, Courtesy ABT. Abrera was still a soloist, a position she had held for 14 years. But not for much longer. 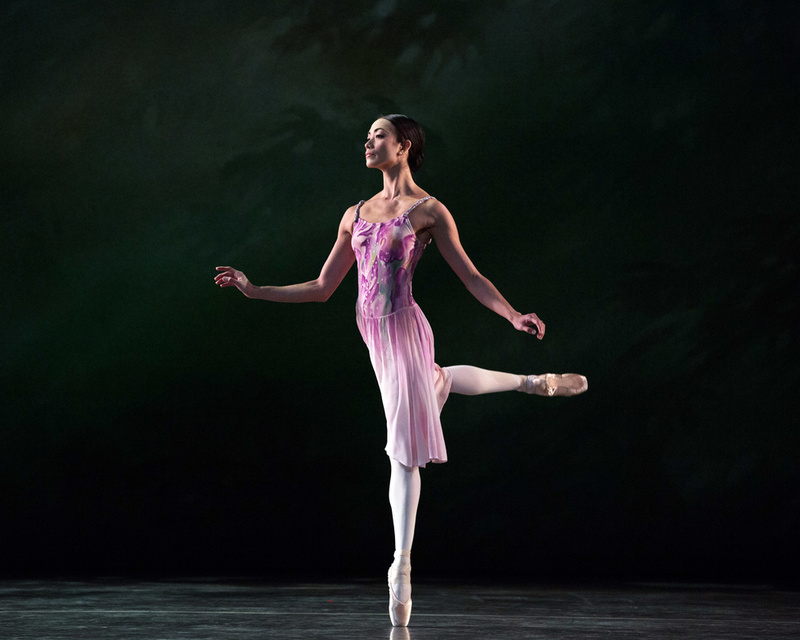 On June 30, 2015, the same day as Misty Copeland, she became a principal dancer. The promotion came as a complete surprise. She says: “At my age"—she was 37—“and with the amount of time I had been out I didn't think it was going to happen. I thought, My career is going to be over soon, I'd better just go for broke whenever I go out onstage." It's a funny thing about dancers—it's often when they stop trying to please others that they do their best dancing. To become a principal at 37 is an anomaly—proof not only of Abrera's talent, but of her willingness to stay the course in the long, frustrating road from injury to full recovery. At the time, her promotion was somewhat overshadowed by Copeland's; outside of the company, there had been scant speculation about Abrera's chances, and little publicity afterwards. Nevertheless, “It was enough for me," Abrera says, quietly, of that time, “because the amount of emotion I felt was beyond." Like Copeland's, Abrera's achievement was also a milestone: She became ABT's first Filipino-American principal. It is a distinction that is only now beginning to sink in. “People started to ask, 'How does it feel to be the first?' and to me it was like asking, 'How does it feel to have long hair or to be a woman?' " But then she started to hear from young Filipino-American dancers, who said they looked up to her. Almost without realizing it, she has become a symbol of achievement and success. Abrera's path to ABT was somewhat circuitous. Because of her father's job as a civil engineer, the family moved frequently. She started ballet in Pasadena, then moved to a school in San Diego, West Coast Ballet Theatre. Some of her formative years were spent in Sydney, Australia, studying at the Halliday Dance Centre, a program that uses the Royal Academy of Dance curriculum. It was during her final RAD exams, held in New York, that she met Ross Stretton, then ABT's assistant director, who suggested she audition for the company. At 17, she left home to become a professional dancer. It was not easy: “I could sense the dread in my mom's face. It was hard for me. But there was no way I wasn't going to do it." Abrera as Gulnare in "Le Corsaire." Photo by Rosalie O'Connor, Courtesy ABT. Things were proceeding smoothly. She was offered a soloist position in 2001, and was soon dancing plum roles like Lilac Fairy in The Sleeping Beauty, Emilia in José Limón's Moor's Pavane and Gamzatti in La Bayadère. Then, injury struck. In 2008, when she was preparing to dance Giselle, she hurt herself during a rehearsal for a new work; by the end of that rehearsal, she had a persistent calf ache. After 14 months of cortisone treatments, physical therapy, swimming and rest, she came back and tried to approach dancing the way she had before. (“I'd always gone for things, that's how I liked to roll.") But a little over a year later, she reinjured herself. They worked together for four months, during his breaks and lunch hours, doing barre in a room without a mirror so that she could feel things internally, working on the bare essentials: posture, turnout, balance, elongating the spine, straightening the legs. “We started with pliés," he says, “and I would ask her, 'Can you go on? Can we move on to third position? How about fifth?' " Little by little she got her technique back, and, more importantly, her confidence. Abrera's attitude toward Salstein's assistance is simple: “He got me back onstage." Steadily but slowly, over the course of years, Abrera regained her strength and became accustomed to a new, safe range of motion. Recently, she's gained even more confidence. Things just seemed to work better: “I kept discovering that I could trust my body—it continues to surprise me." Abrera as Aurora in "The Sleeping Beauty." Photo by Gena Schiavone, Courtesy ABT. Since her Giselle debut, she has taken on one role after another: Sir Frederick Ashton's Cinderella and Lise in his La Fille mal gardée; Lead Maiden in Alexei Ratmansky's Firebird, the Queen of Shemakhan in his Golden Cockerel and Aurora in The Sleeping Beauty; and a lead role in Benjamin Millepied's Daphnis and Chloe. She's particularly strong in roles leavened with humor, like Lise in Fille. Onstage she can be uninhibited and fun, with a real comedic verve, which can come as a surprise given her almost regal beauty. “She's such a goofball in real life," says ABT principal Gillian Murphy, a close friend since both competed at the Prix de Lausanne as teenagers. (Their husbands, Ethan Stiefel and Sascha Radetsky, are also close, and the four often travel together.) Her ability to be goofy onstage seems to be connected to an innate modesty combined, paradoxically, with confidence: “She's not defined by her beauty," Murphy says. It's a special mix: modesty, mixed with self-knowledge, refinement and bravery. “She's a deeply honest person," remarks Radetsky, who retired from ABT in 2014, “and I think that shines through in her dancing." Perhaps it explains why she had the air of a principal dancer long before the day she became one. 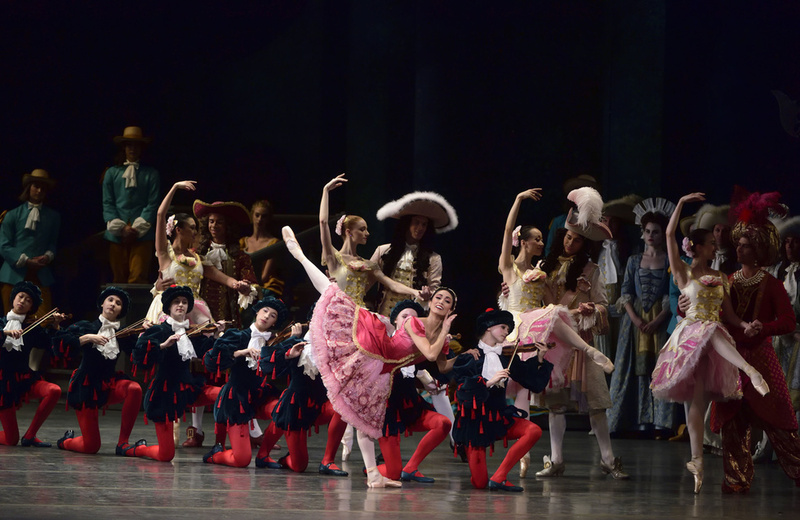 “In most of our heads she was a principal," says soloist Alexandre Hammoudi, who has been paired with her regularly in ballets like Don Quixote, The Nutcracker and The Sleeping Beauty. Despite the heightened pressure, Abrera has found herself loving dance as much as ever. “Nothing has changed for me on the inside," she explains. “I'm savoring the present; I think it comes with time and experience. It's the joy of art. I feel privileged to be part of that."